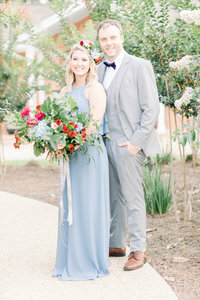 Growing up in a small Southern town like Charleston, South Carolina, they say everybody knows everybody – and that was exactly the case for Mariam and Criss. They grew up just a few doors down from each other and spent many childhood days climbing trees and chasing fire flies. As they got older their friendship evolved into a beautiful relationship that would one day lead to one of our absolute favorite weddings! 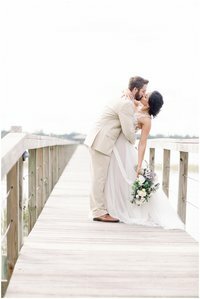 Mariam and Criss always knew they wanted to get married in their hometown of Charleston and what better spot than the enchanting riverside estate, Lowndes Grove Plantation! From the historic charm to the unbeatable scenery, we were in love from the minute we stepped on the property. Even as a little girl, Mariam knew exactly how she envisioned her wedding day and every detail was simply breathtaking. From the hand drawn wedding invitations to the bistro inspired reception, we enjoyed capturing every minute of it of it. The peaceful sound of the Ashley River flowing was the perfect addition to the pink sunset sky that was the backdrop for this dreamy wedding. As the stars came out and the fire flies began to twinkle, you could tell it brought Mariam and Criss back to where it all began. Mariam and Criss, we loved having the chance to get to know you both, and are certain we’ve made lifelong friends! 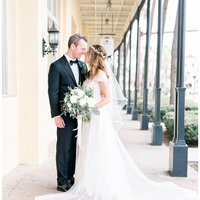 We hope these photos take you back and let you relive the moments of your wedding again and again. We are thrilled to follow along the journey that life takes you on and wish you all the happiness in the world!